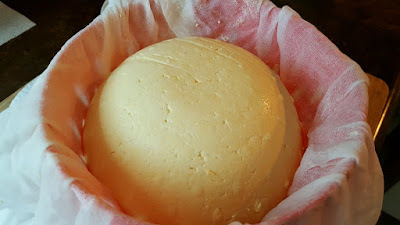 Rainy Day Cheese Making: Cultured Mozza Success!!! And a Colby! 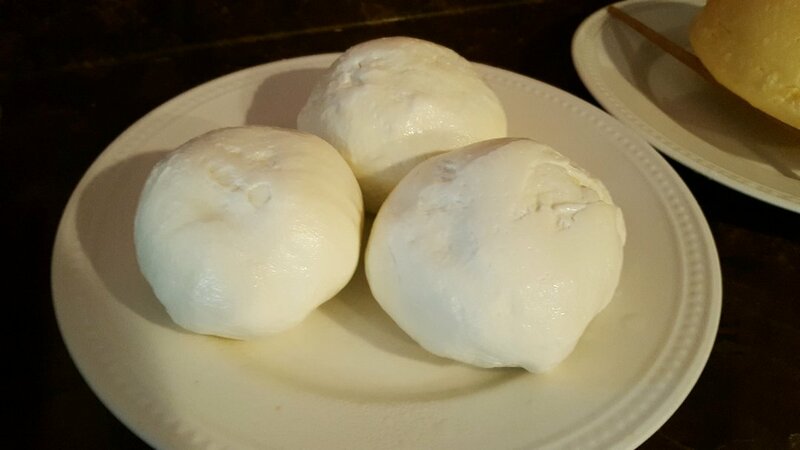 I'm so pleased that I was able to make a Mozzarella that wasn't the quick 30-minute version. You can't understand my pride, because I can't describe it! 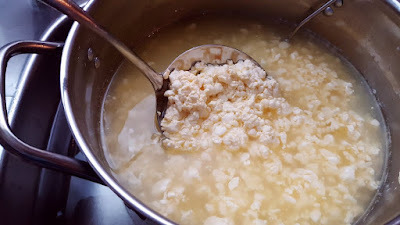 :)) Most of the recipes out there assume you have access to raw milk - which is perfect for making the pasta-filata cheeses or stretched curd cheeses like Mozzarella and Provolone. 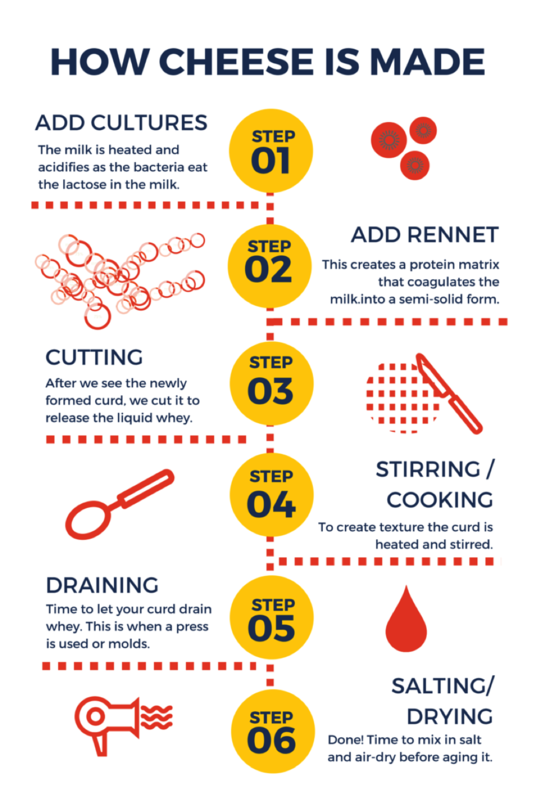 Those of us who have no choice but to use pasteurized and homogenized grocery store milk need to keep a good eye on PH levels and use additives to achieve the same results. So I bought my $19.99 PH meter. Here you can see how I used it, I shoved the curd into the sensor to get my reading. 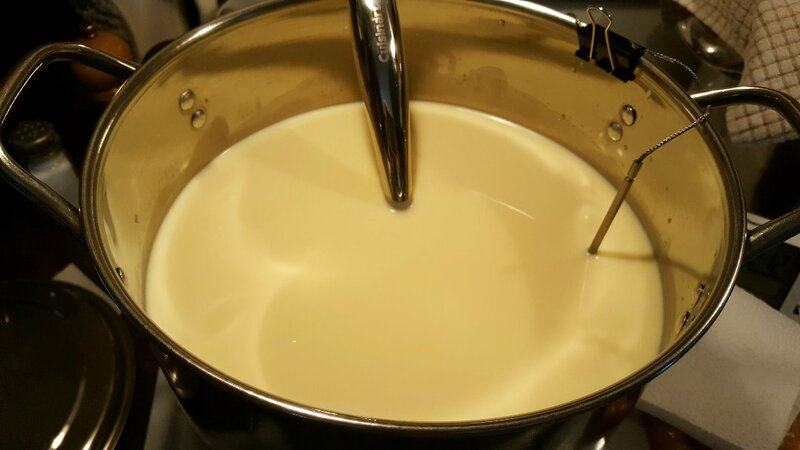 With a gentle nudge of a toothpick, the curd fell right now. 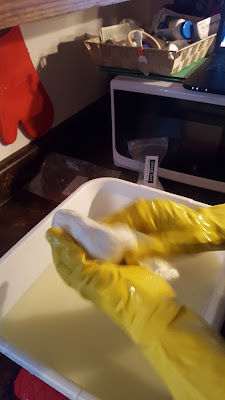 I read on the Cheese Forum that using contact lens cleaner is a perfect way to sterilize the meter after using and since I do wear them, I luckily had that handy. This was the best purchase I've made in a long time! 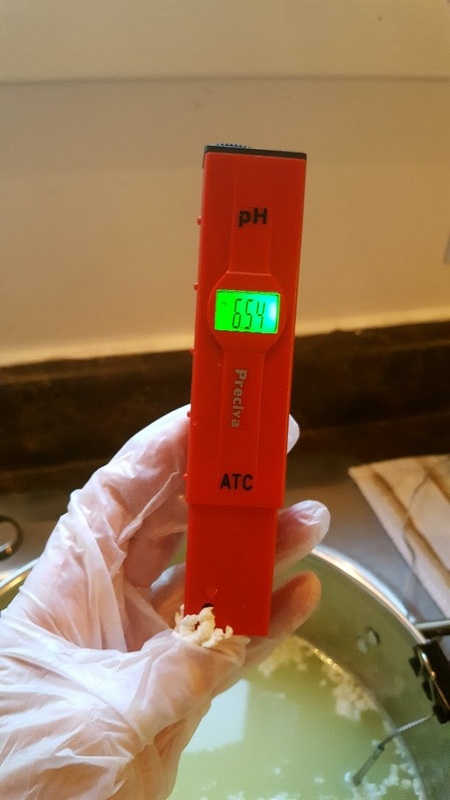 Though I have another PH meter in mind for the future, it has a probe or spear so you don't have to push all the curd into the meter. But those are in the hundred$$ so it's definitely going to have to wait! This is the set up after the stretch test. 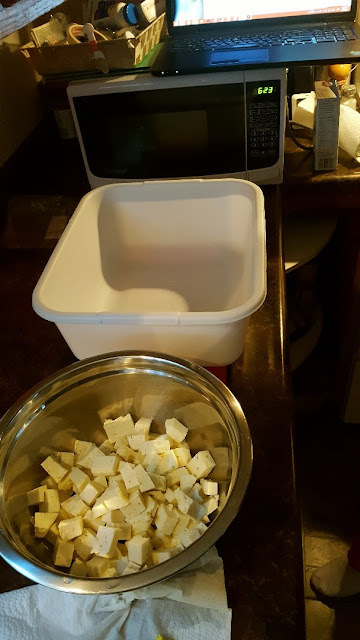 You chop up your curds and prepare a bin or large container to add the boiling hot whey. You know, every time I failed to get a stretch the last five times...I really took it badly. So this was a huge triumph for me! You add some Kosher or cheese salt to the bin, then the curds, then the whey that has been heated to 180F. 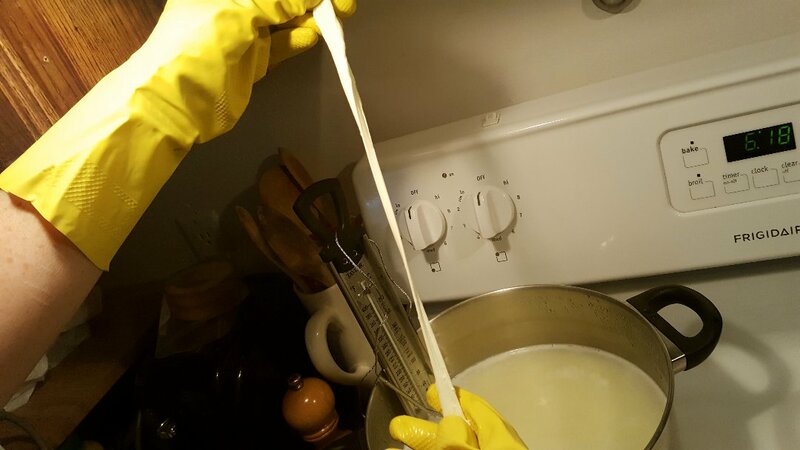 You put in enough whey to cover the curd and get it all melty. 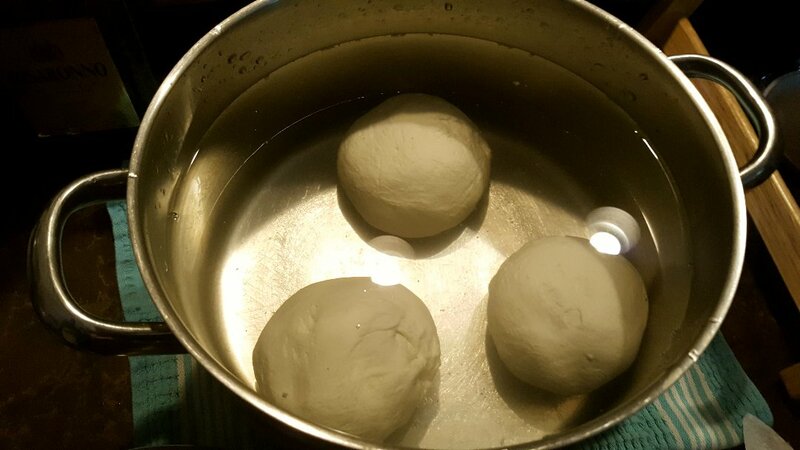 After letting it sit a minute, you work it like bread dough. This was just about 3 pounds of cheese to knead and it's not obvious, but it's heavy work! Plus 180F is dang hot. I made a rookie mistake and didn't buy high quality cheese making gloves and two layers of dishwashing gloves didn't cut the mustard. My hands were BURNING!! 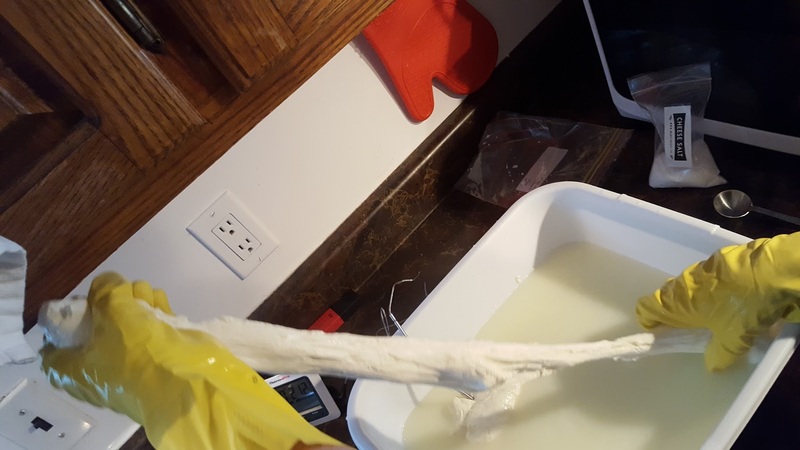 I had to wait to lower the whey temperature to 140F to handle it. 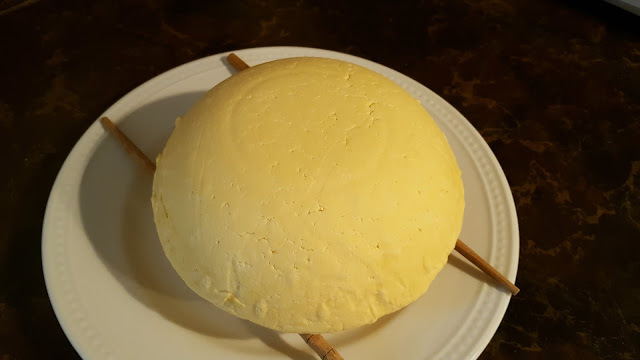 But, this made the Mozza much less pliable and even though it turned out well, if the temperature had been higher, it would have been that much better. Next time! 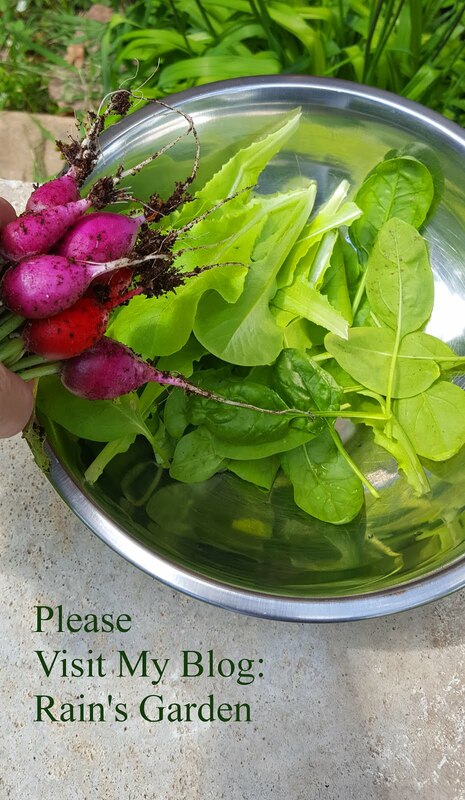 I ordered the gloves and some Lipase, which I want to try next time to add some sharpness to the flavour! After achieving a nice stretch, I formed the balls and put them right into an ice bath for 15 minutes to help them keep their form and toughen up a little bit. 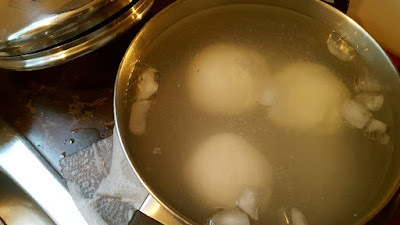 Then they went into a salt-water brine for two hours to continue the process of hardening them up. What a beautiful sight to see! 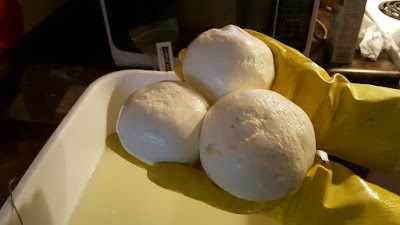 :) I used Gianaclis Caldwell's Traditional Mozzarella for Aging recipe that she has on her blog. On that post called "Stretchy Secrets" she gives lots of info about pasta filata cheeses. 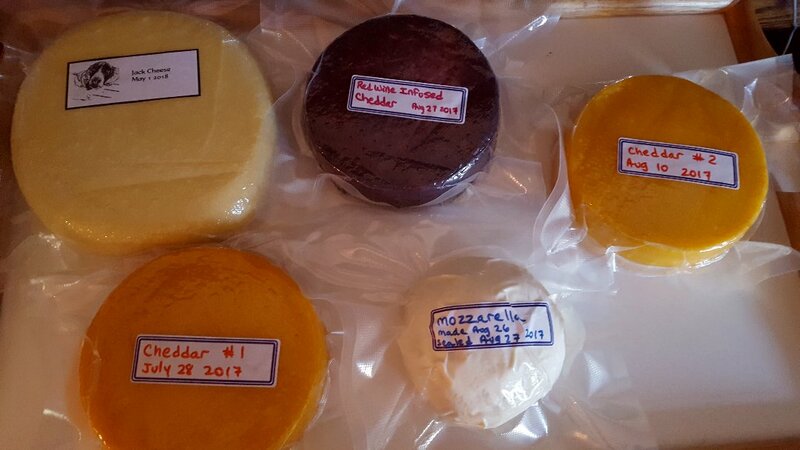 She even has her quick Mozza recipe and a Hybrid version. She is the author of cheese making books that have become the standard for learning how to make cheese at home. I have one of her books, but I have all of her others on my wish list for gifts from Alex! Back to the Colby! 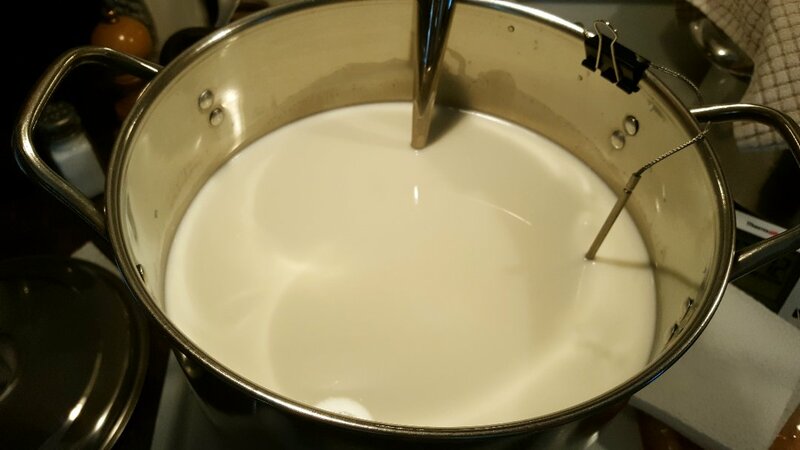 Did you notice the change in colour of my milk? It looks pretty good considering! I had to use a cappuccino saucer as my "follower". A follower is a flat round disk that sits on top of your cheese to press it down evenly under the pressure of the weight. So it kind of came out in a flying-saucer shape. Funny thing...it smelled a little like that cheese powder used to make boxed macaroni. I hope it doesn't taste like that! 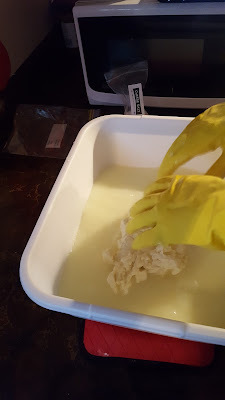 It's drying now and I'll seal it in a few days to age for 6 weeks. 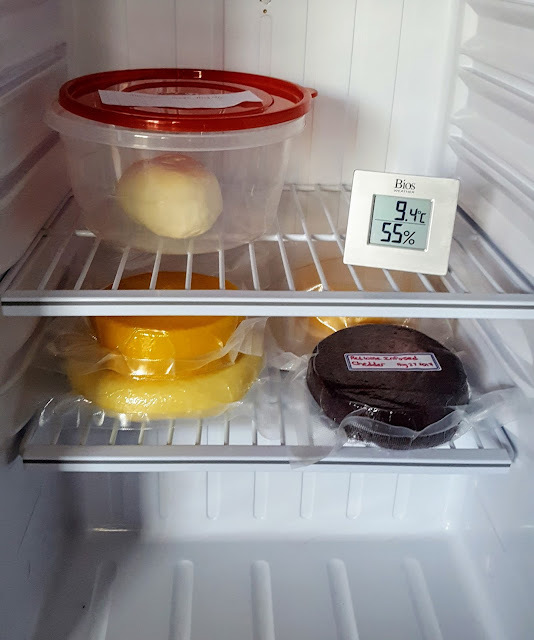 I mentioned on my other blog that I treated myself to a vacuum sealer. The Cheddars are covered with an orange coating, that I had a heck of a time with. I hate it! 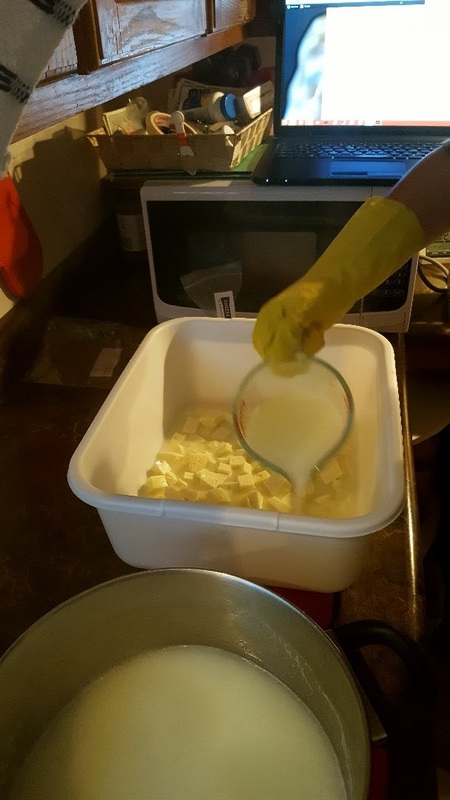 It was touted to be a wax alternative, but doing more research revealed it only keeps the cheese from moulding up for about 6-8 weeks. Since I'm aging my Cheddars up to a year, I would have had to wax them. 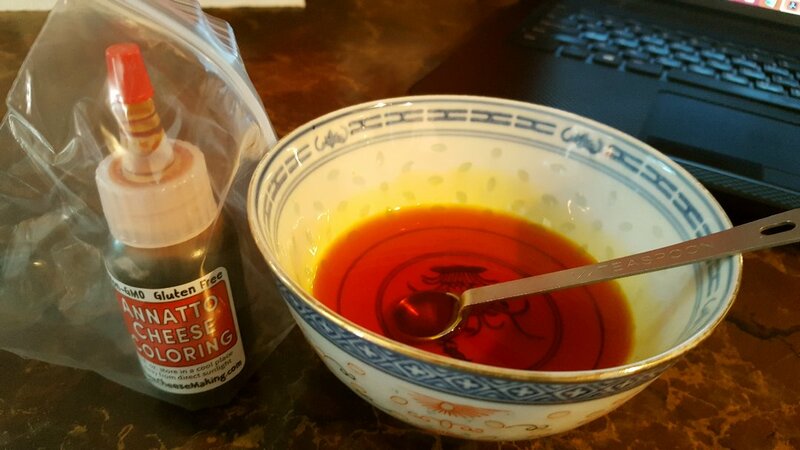 I did buy wax, but opted for sealing them instead. This way I don't have to worry too much about mould forming. 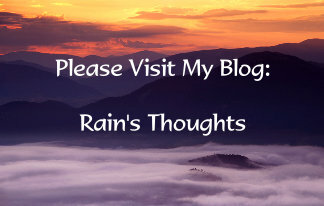 I do have to keep an eye on them though, if I see any moisture, I need to un-seal them, let them dry and seal them again. Yaaay glad you got a stretchy mozza!! It all looks amazing!